miseashells has no other items for sale. 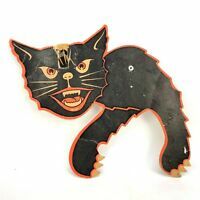 Vtg Die Cut Hissing Black Orange Cat Wall Decoration Paper Cardboard Crafts 9"
Vintage Halloween Cardboard Party Costume Hat with OWLS STARS, "Made in USA"
3pc HALLOWEEN DECORATIONS Die-Cut EMBOSSED H.E. Luhrs WITCH, Spiders, Webbing! 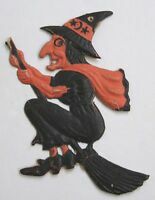 Halloween photo 3, vintage pre-1940 (4 x 6 photo reprint).